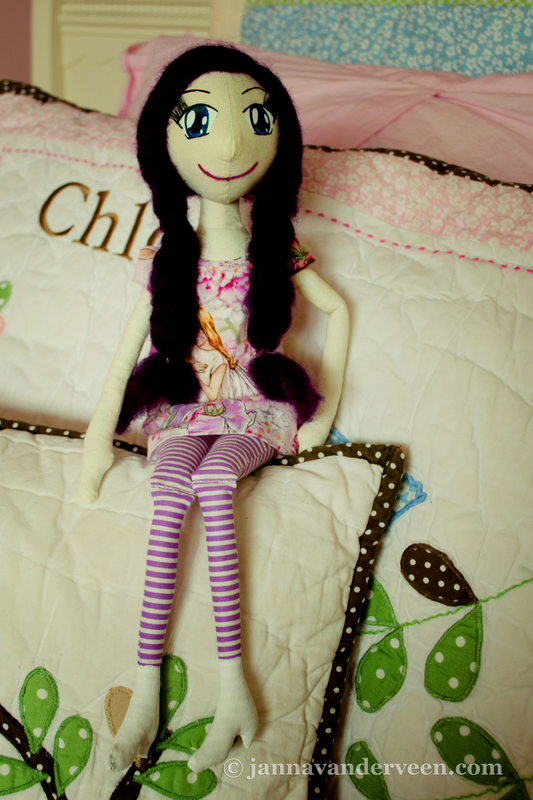 I had a tremendous amount of fun sewing this whimsical character, with her purple hair and big eyes. I could definitely see her in a children’s book. As of now, my daughter holds the key to her magical world. She even convinced me to add eyelashes. 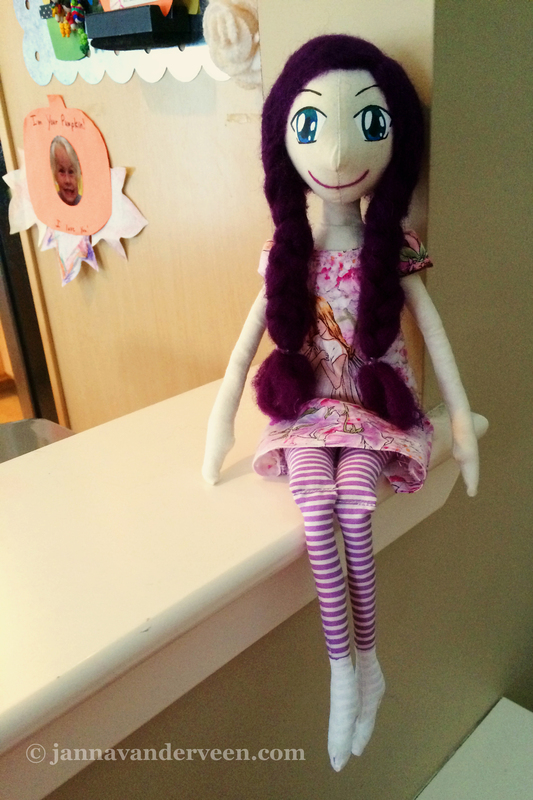 You can find this sewing pattern on Etsy at Fancy Dolls. Thanks Debi! 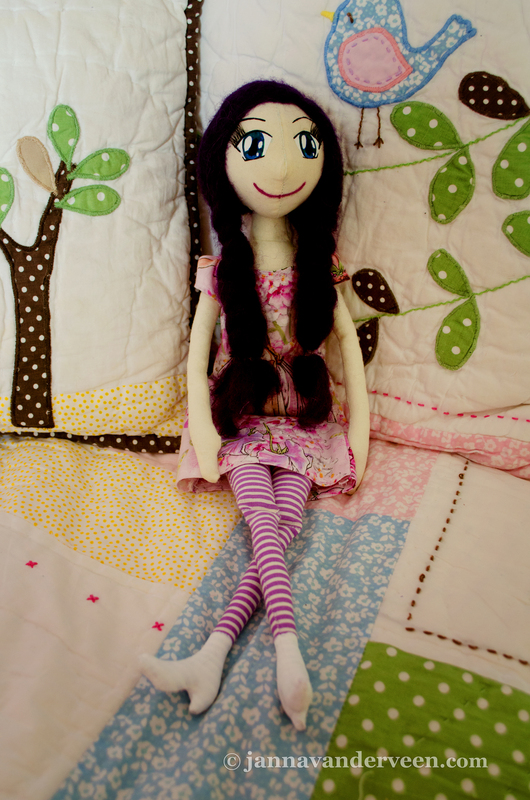 She was fun to make! Oh my gosh, you could so write a story around this darling girl. She is adorable! Such personality!